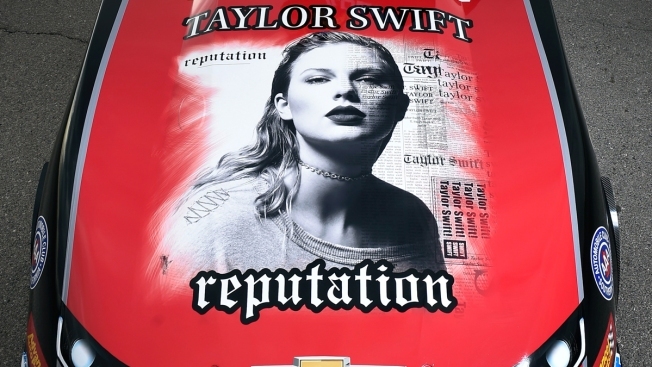 In this Oct. 30, 2017, photo, NHRA Funny Car driver Courtney Force's Advance Auto Parts Chevrolet Camaro SS funny car is seen featuring the cover of Big Machine Records recording artist Taylor Swift's new album "reputation" at The Strip at Las Vegas Motor Speedway. Tracks from Taylor Swift's new album "Reputation" were leaked and shared online on Thursday, less than a day before the release date. Two days earlier, Swift posted on her official Instagram page a track listing for "Reputation" after it leaked online. Links to the songs were shared on multiple file-sharing websites and message boards. Many were taken down as quickly as they were put up. Swift and her music label, Big Machine Records, have not commented. The leak stirred debate among Swift fans on Twitter. Some claimed to have downloaded the songs and commented on them. Others expressed feelings of confliction. Many were angry. 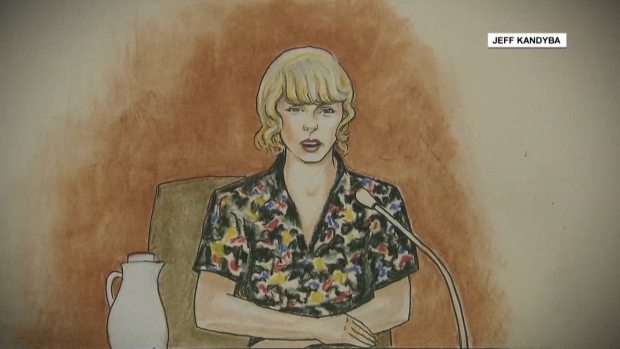 "Out of respect for Taylor i would never even dream of leaking it," tweeted @holdoncarpenter. "No need to leak an artists work whenever its released worldwide at midnight." Swift had announced the upcoming release of "Reputation" and dropped its first single, "Look What You Made Me Do," in August as part of a music and social media comeback following months of staying out of the spotlight. Since then, she has also released the tracks "...Ready for It?," "Gorgeous" and "Call It What You Want."